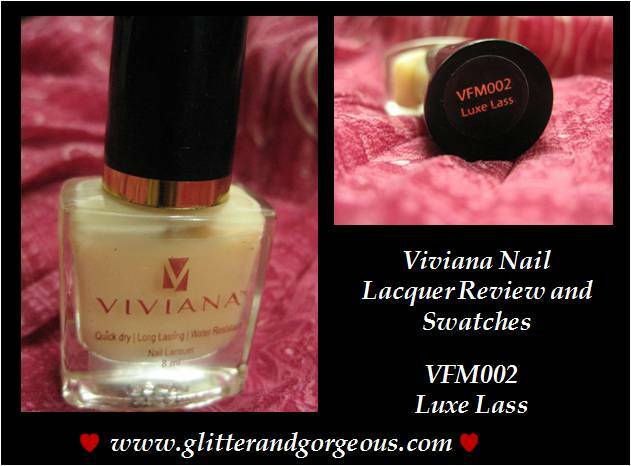 Viviana™ Nail Lacquer – Review and Swatches - Glitter & Gorgeous!! 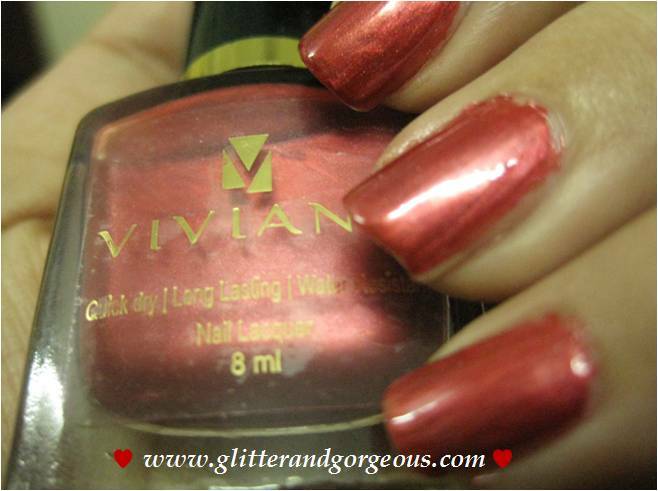 Viviana™ Nail lacquer comes in 30 wonderful shades, more of darker shades like red, maroon, brown & pink. 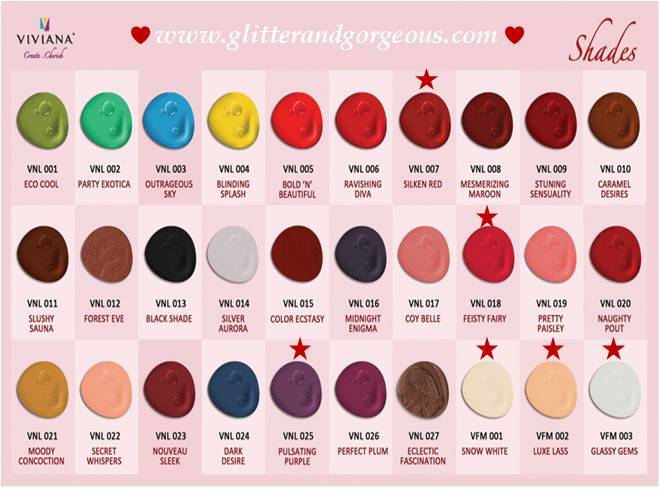 They also have a French manicure kit with 3 nail lacquers included in the kit, the base, the white tip and the finishing top coat. 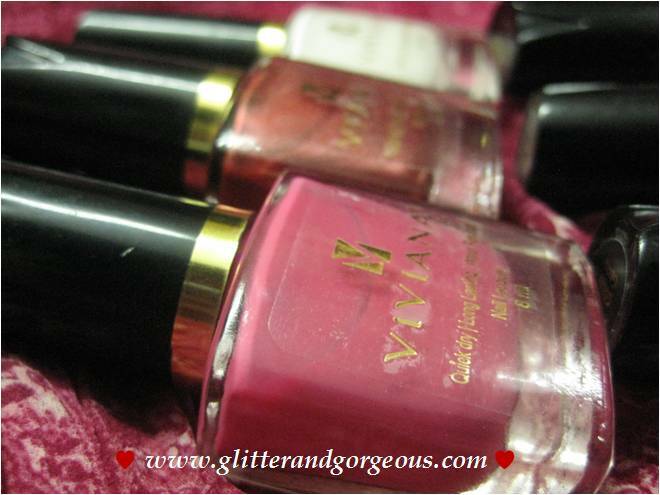 According to Viviana™, these nail lacquers gives a perfect Gliding Application for a professional fashion-show finish! 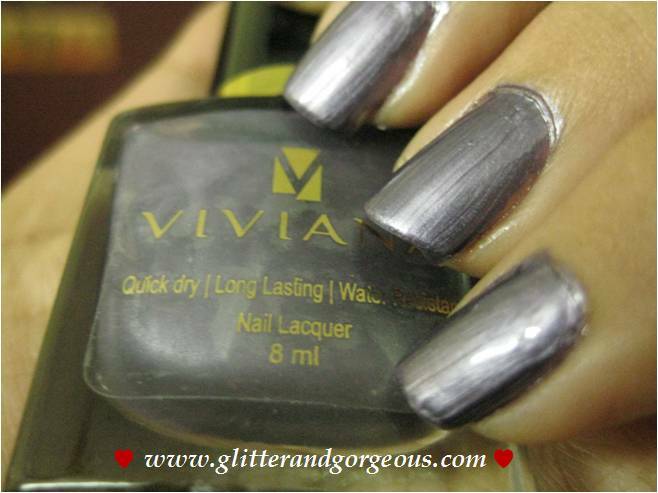 A product characterized by QUICK DRYING formulae. 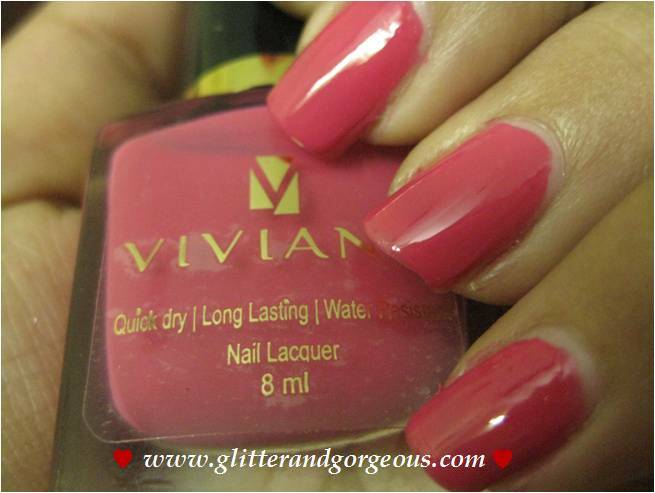 Viviana™ Nail Lacquer provides a Long Lasting Extra Gloss finish. 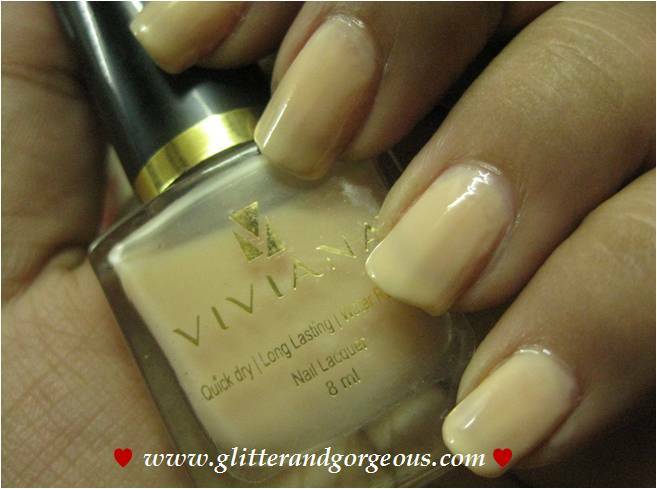 The special formulae, ensures a perfect adherence along with Constant Viscosity and an Incredible Smoothness. 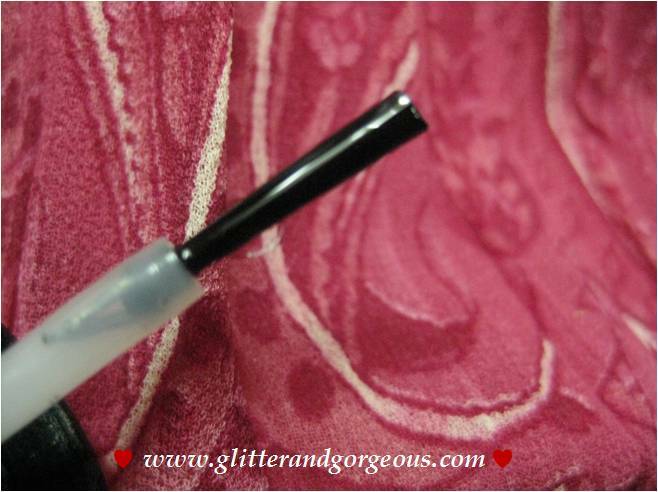 Easier application, long wears higher gloss! 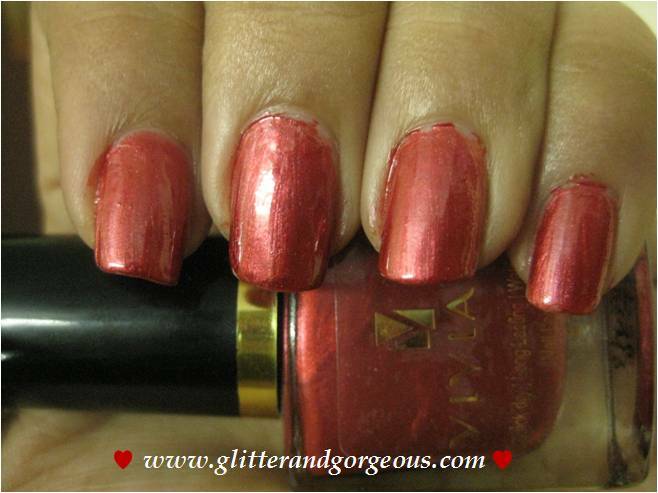 This is a nice shiny (silky?) red. 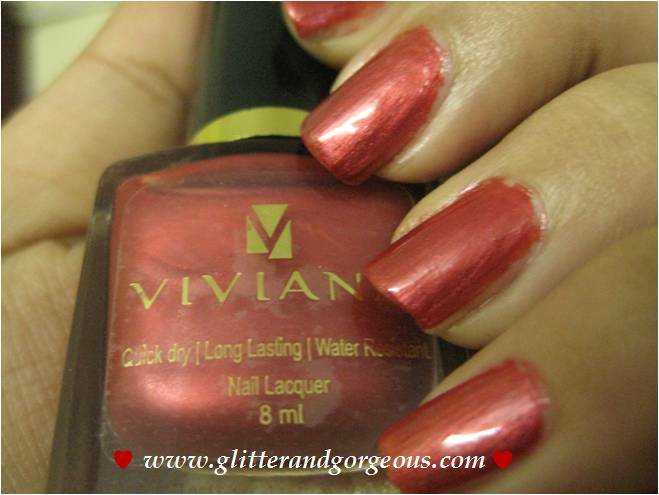 More of a deep dark red and not that bright so could be worn any day, any time. 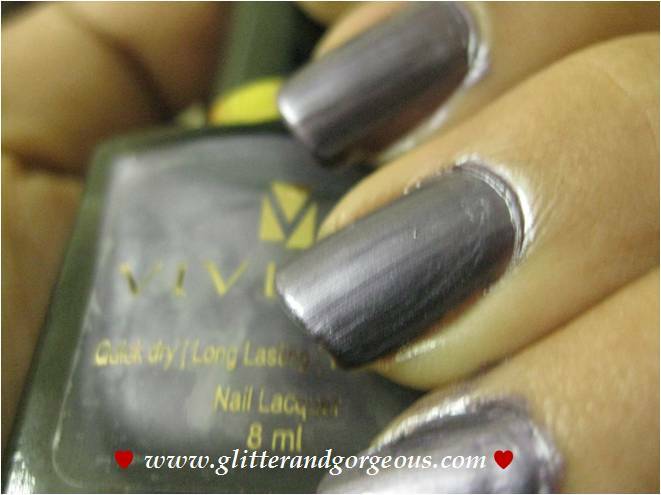 The brush was good and the application was smooth; took less than a minute to dry up on nails; Requires 2 coats to get the color in the bottle. 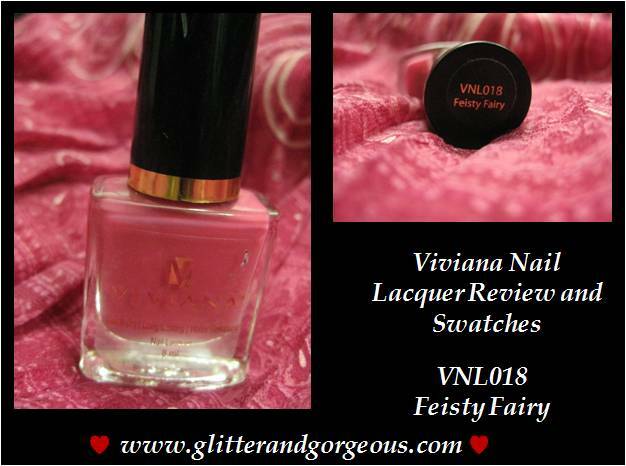 Feisty Fairy had a good brush and the application was very smooth; this again took less than a minute to dry up on nails; Requires 2 coats to get the color in the bottle. 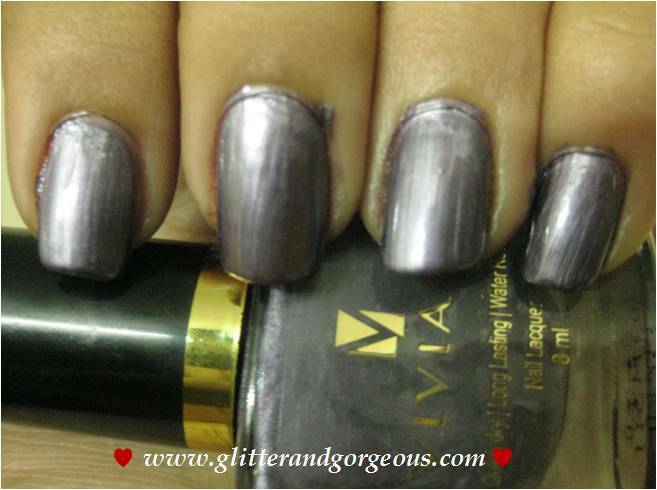 This is actually a nice purple shade and somehow my camera has captured it as grey and I tried different light settings, but still no luck L but trust me this is a beautiful purple. 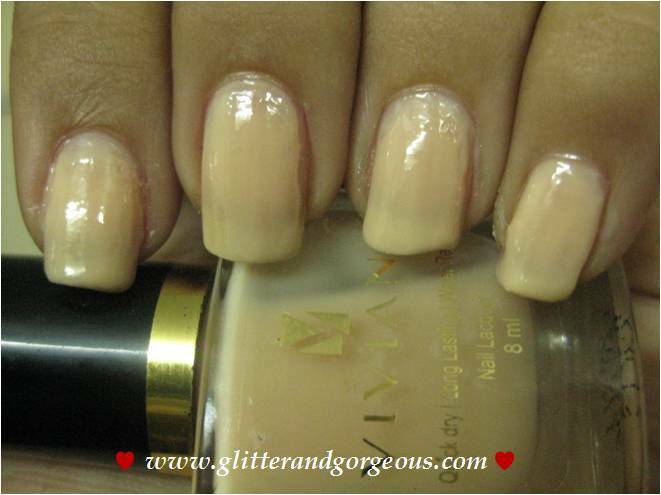 Here again the brush was good, took less than a minute to dry up on nails and requires 2 coats to get the color in the bottle. 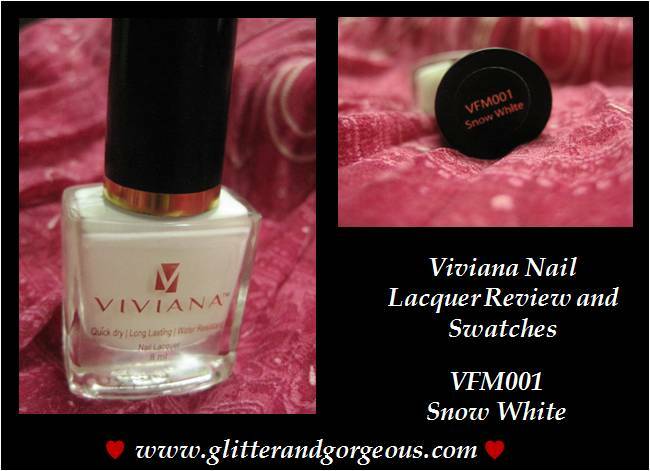 Now comes the French manicure kit, I won it in the Viviana™ ongoing “Be Gorgeous” Facebook contest. 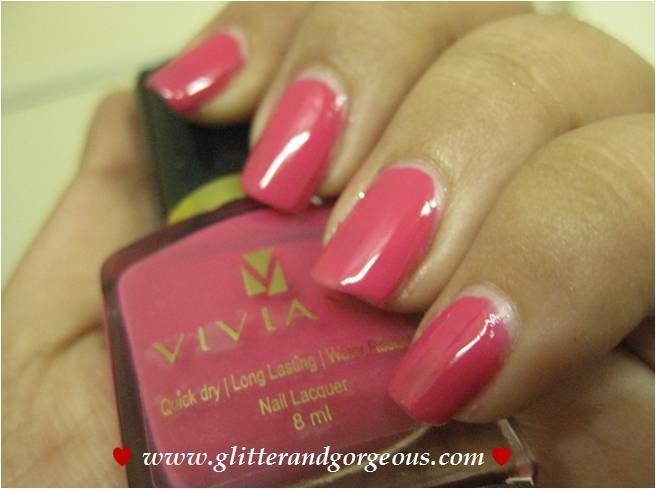 Please click here to know more about it. 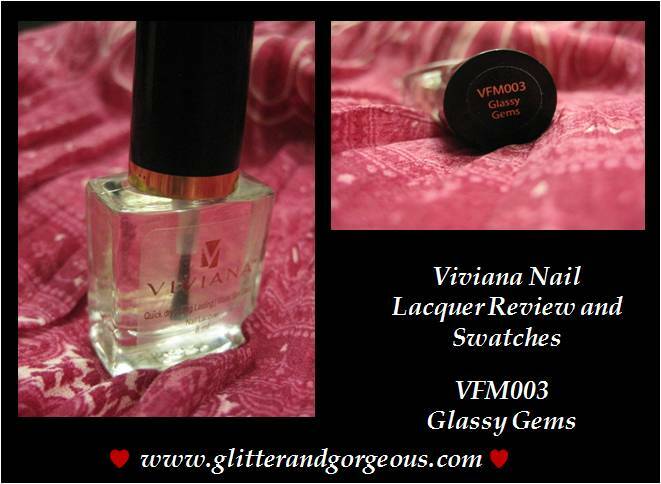 Well on the quality it was kind of a disappointment to me, except for the clear polish – Glassy Gems. 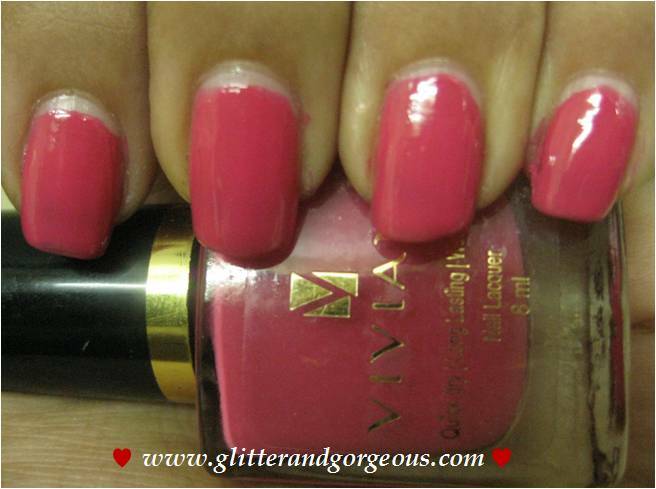 Not sure if it was the brush or the polish itself. If anyone has used snow white and luxe lass please confirm. 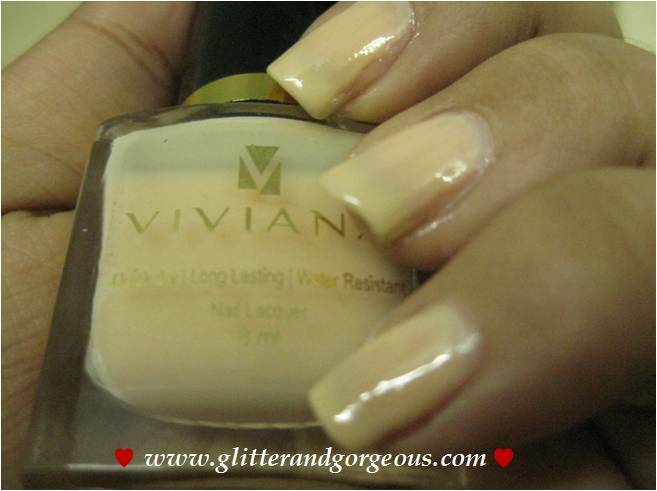 Viviana™ nail lacquers are retailed at Rs. 129 or $2.50 for an 8 mlbottle. 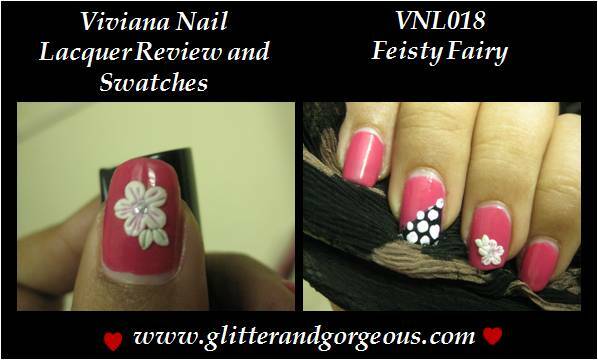 They are available online at Urbantouch, Flipkart, Goodlife & Healthkart. 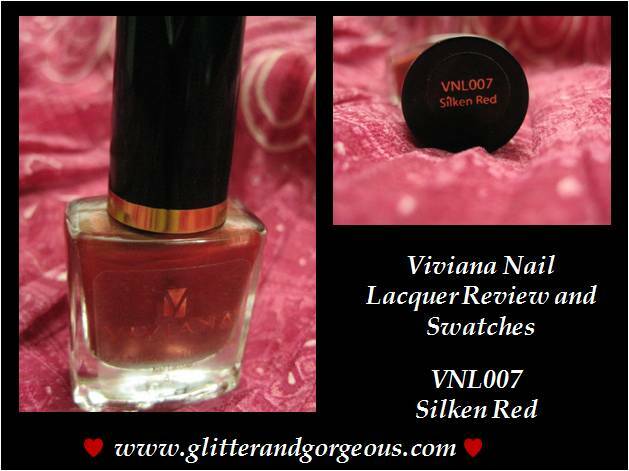 Do You Know – The term “lacquer” originates from the Sanskrit word laksha meaning “one hundred thousand”, which was used for both the Lac insect (because of their enormous number) and the scarlet resinous secretion it produces that was used as wood finish in ancient India and neighboring areas. yeah na 🙂 but luxe lass is very sticky and thick ups..
Hey All! I am Rekha Sriramagiri. This blog is a work of my passion :) I am an Electrical Engineer | IT Project Manager | Avid reader | enthusiastic writer. 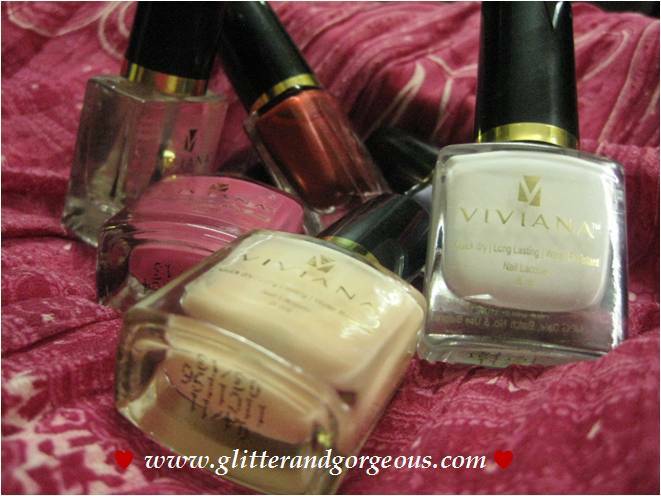 Hope you enjoy reading this blog as much as I did writing it :) Cheers! !